These particular tokens were not political, but purely business. 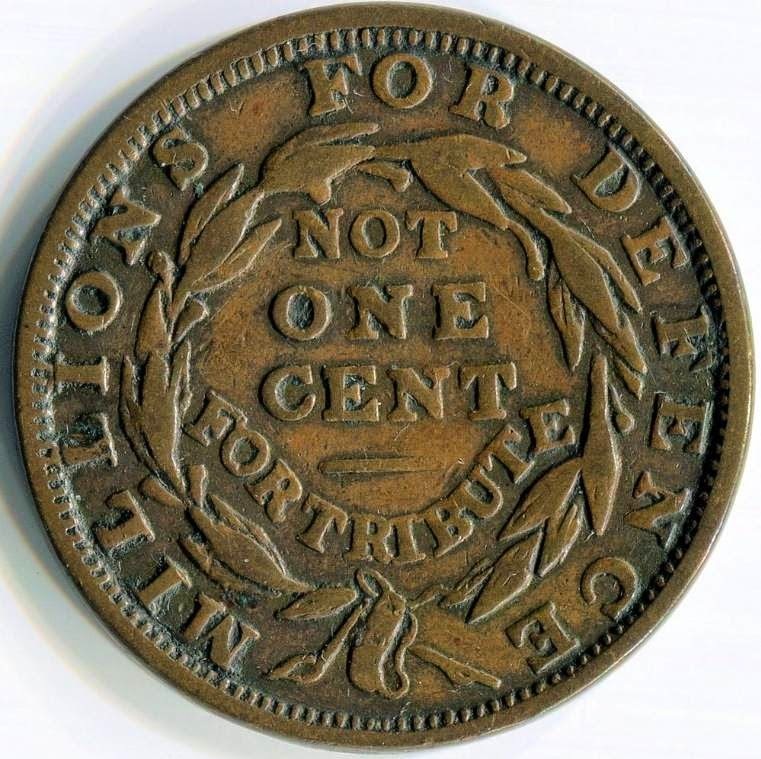 As real coins were being hoarded, merchants were hard pressed to provide change, so businesses like like the Scovill Manufacturing Company of Waterbury Connecticut sold these tokens to the merchants. The merchants passed them out as change. 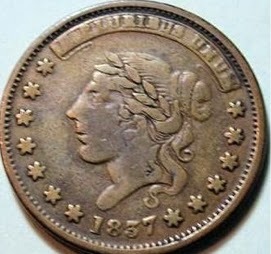 The customers may not have liked that at first, but as real coins were scarce, they accepted them. The tokens were cheap enough that the buyers made some profit, too. 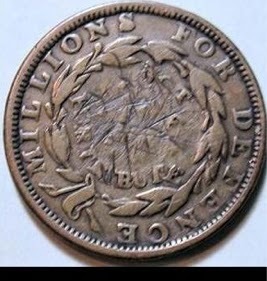 Scovill was already making coins for other countries, so making tokens wasn't a radical business venture for them. These "not one cent' coins look somewhat like large cents of that time. We'll see that this resemblance got Scovill in some minor trouble, but I'll save that for tomorrow. 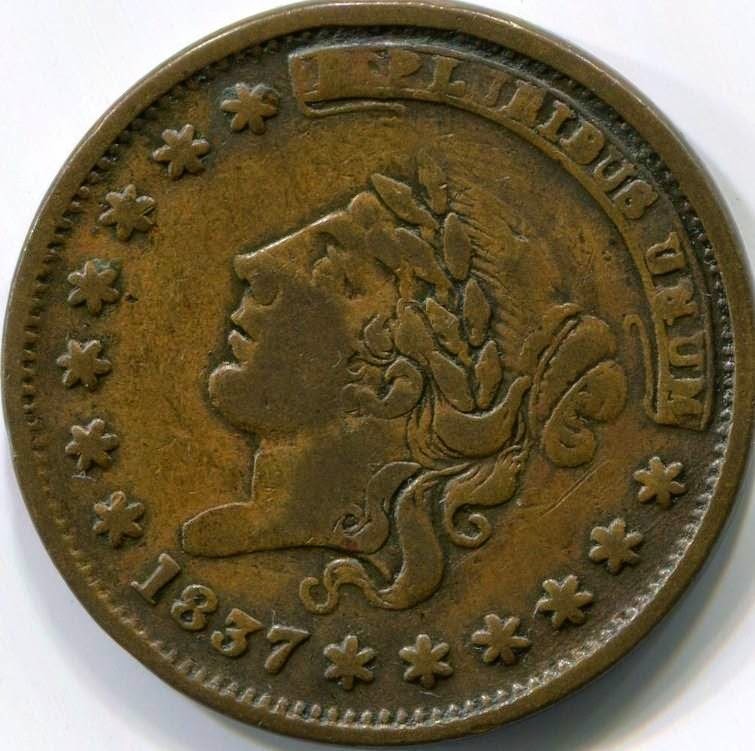 Here's another example where someone may have been trying to scam businesses, perhaps after normal coinage returned to circulation. They scratched out "Not One Cent". I would think that would have been a child in search of penny candy or the like, as this crudeness would not have fooled anyone. There are more than a dozen varieties of this that look very similar and also restrikes made in the 1950's, so these are inexpensive and easy to obtain.